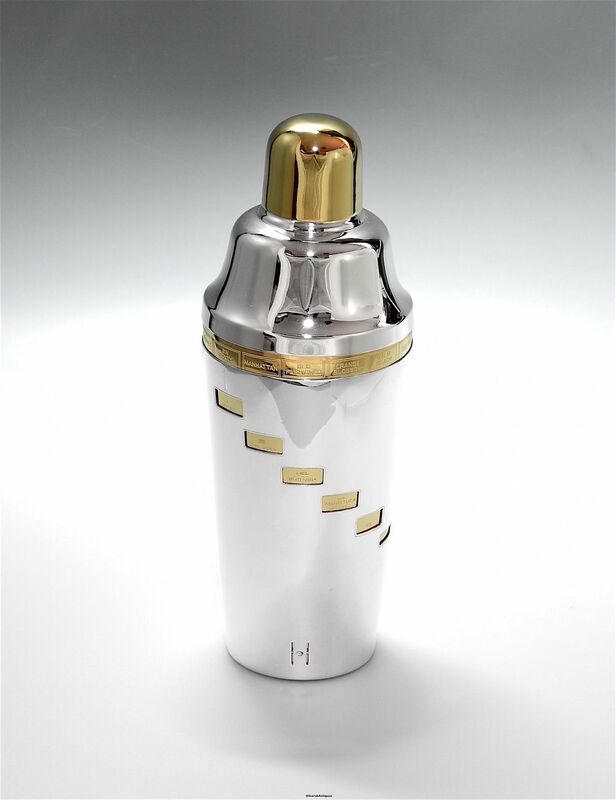 This is a fantastic cocktail shaker! 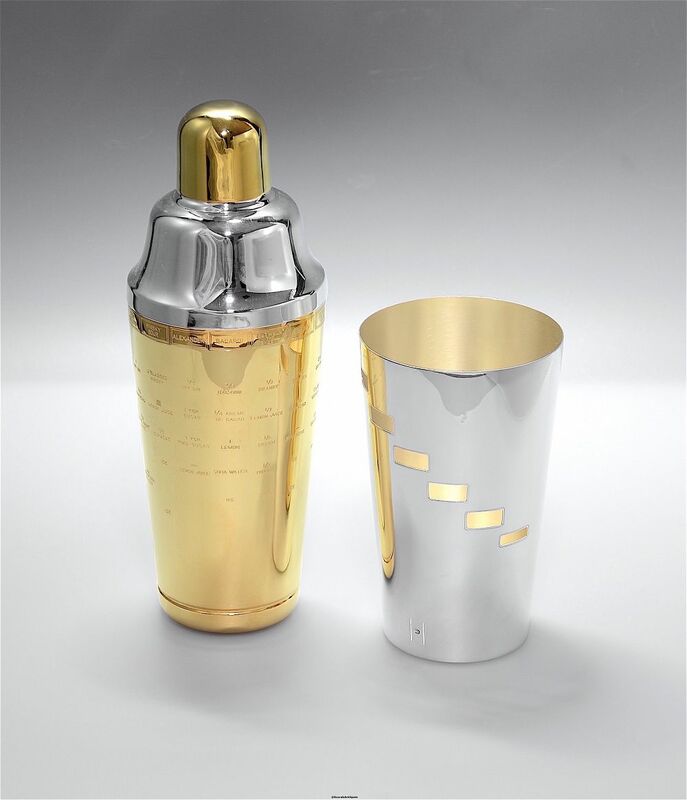 Made by the American company Napier during the Art Deco period the outer removable sliver plated cover has a series of staggered rectangular openings which reveal various ingredients for the various cocktails that are listed around the top of the gilded inner body of the shaker. There is an arrow on the outer cover which when pointed at the particular cocktail that you wish to make lines up the rectangular openings to reveal all the necessary ingredients for the chosen cocktail. The curved shoulders are silver plated and the top is gilded and can be used as a measure. There is an integral strainer. 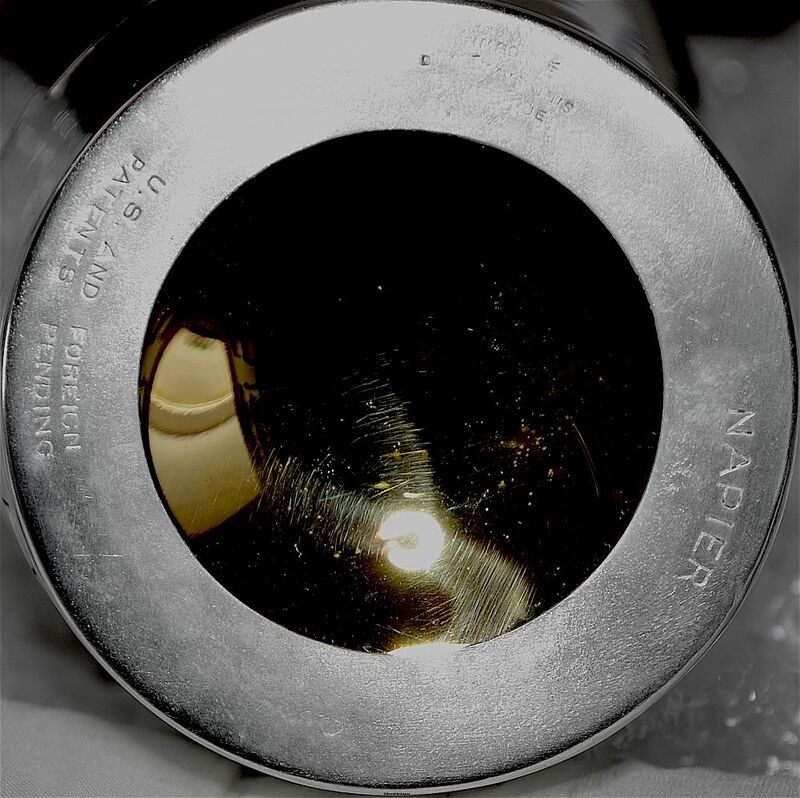 The base is signed "Napier" "US and Foreign Patents Pending" "Importe des Etats Unis d'Amerique" .